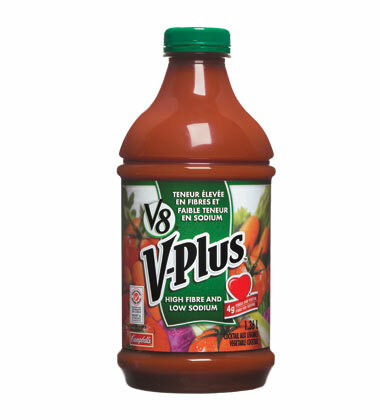 Water, tomato paste, juice of (carrots, celery, beets, parsley, lettuce, watercress, spinach), inulin, white grape juice concentrate, potassium chloride, carrot juice concentrate, salt, ascorbic acid (vitamin C), natural flavours, citric acid (pH adjusting agent) and seasoning. A delicious blend of eight vegetables are combined to create a low calorie, nutritious and refreshing beverage. 4g fibre and two full servings of vegetables per serving.